i. 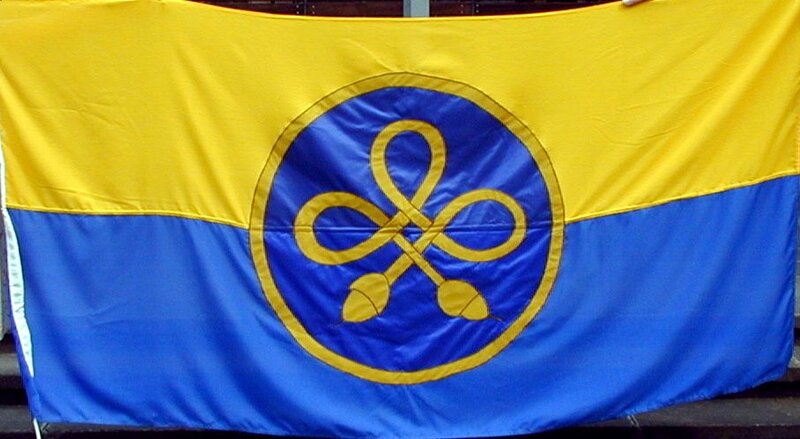 The organisation is concerned with Vexillology which is defined as ‘the scientific study of the history, symbolism and usage of flags or, by extension, any interest in flags in general’ and by FIAV as ‘the creation and development of a body of knowledge about flags of all types, their forms and functions, and of scientific theories and principles based on that knowledge’. ii. 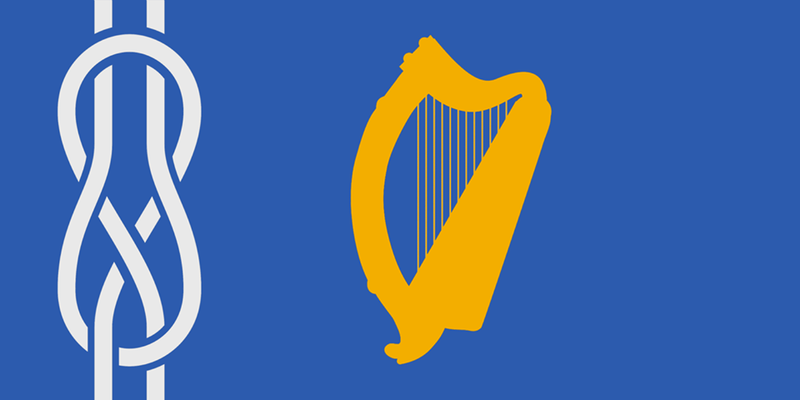 The organisation is established to promote an awareness, appreciation and knowledge of vexillology and our vexillological heritage in Ireland and amongst the diaspora overseas. iii. 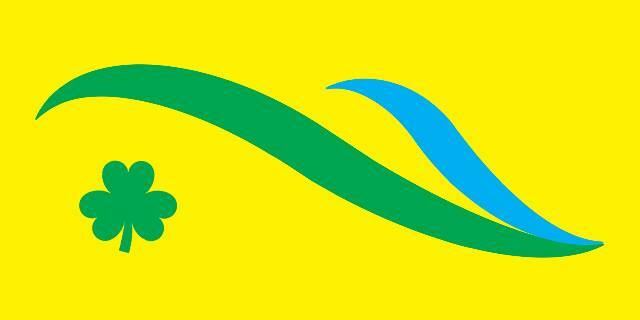 The organisation shall promote the aims and objectives of FIAV – Fédération internationale des associations vexillologiques or in English, the International Federation of Vexillological Associations in Ireland and throughout the world. iv. 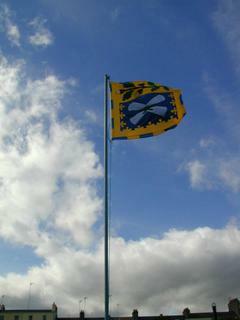 The organisation shall promote an awareness and appreciation of the proper use and protocols concerning the flying and displaying of An Bhratach Náisiúnta (The National Flag) and shall encourage adherence to the guidelines published by the Department of An Taoiseach in respect of The National Flag. 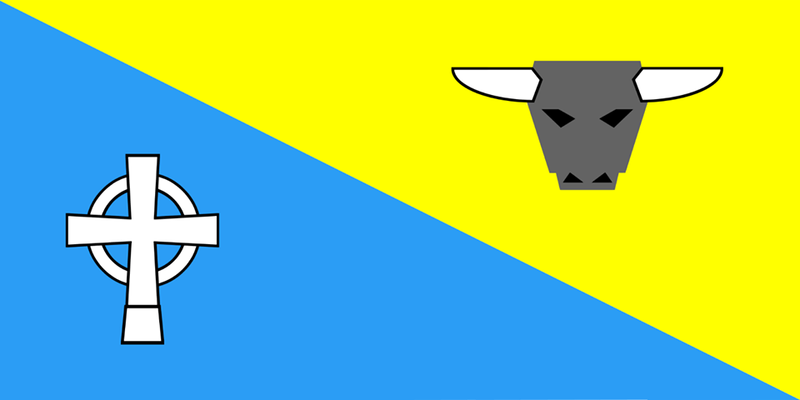 v. The organisation shall promote and encourage the design and use of flags and emblems by individuals, families, clans, clubs, schools, businesses and others throughout the community. vi. The organisation shall establish and maintain a ‘Public Register of Flags and Emblems’ which shall be publicly accessible on-line. viii. 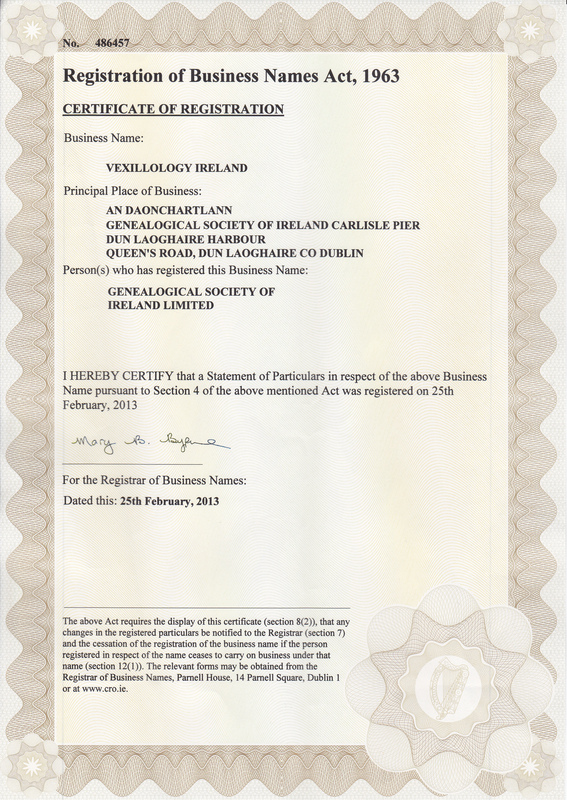 The organisation shall liaise, cooperate and, where appropriate, formulate and implement joint promotional activities with Heraldry Ireland. ix. The organisation shall publish a biannual newsletter, occasional publications and maintain a website in the furtherance of its aims and objectives.